For the last several years, Samsung SDS has promoted efforts to grow together with small and medium-sized firms and help capable partner companies grow by providing the necessary training and financial support. For the past couple of years, Samsung SDS has been rated highly in the shared growth index published by the National Commission for Corporate Partnership. Further, the company recently saw a jump in its brand recognition in the global market, ascending to 33rd place last year, up from 50th in 2009, in the global information technology service ranking by Stamford-based research firm Gartner. “As our global reach grows, we will channel bigger efforts into providing our partner companies with practical support,“ a Samsung SDS official said. 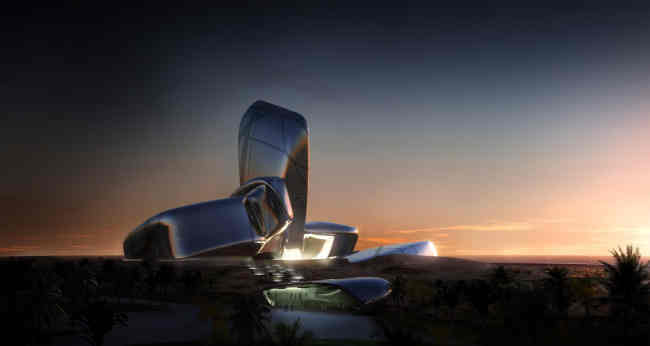 Last year, the company struck a deal with the world’s largest oil company Saudi Aramco to provide its digital space convergence services at King Abdulaziz Center for World Culture, an ongoing construction project at Dhahran city in Saudi Arabia. For the project, Samsung SDS’ partner companies Biztino, Tobeway and Epience also participated in the development of the radio frequency identification project. Samsung SDS also has carried out Costa Rica’s electronic procurement’s maintenance projects and Ecuador’s single windows system projects together with its strategic partner companies Softitech. “With Samsung’s overseas business expertise and brand reputation, it was good opportunity for us to break into the global market,” Softitech official said. This year, Samsung SDS disbanded its financial and public information technology organizations mainly focused on the domestic market. Instead, it announced that it would be expanding its overseas business units with an aim to focus on the global information technology market and on convergence businesses for laying social infrastructure based on its accumulated experience and technology. The move aroused much attention, as it became one of the first firms in the industry to shift its business to outside the country. More importantly, it was seen as a decision for helping its smaller counterparts gain stronger foothold at home, while abroad, it is challenging foreign rivals. To uphold these initiatives, the company has reshuffled its organizations to re-categorize them into smart towns, smart manufacturing, smart convergence, smart security, smart logistics, and smart ICT outsourcing. A smart town is an integrated business comprised of communications networks, intelligent surveillance, and application systems. Demand is on the rise as the number of medical and education towns increase, necessitating more systematic integration management to better manage the complexity of concentrated buildings operation. The company estimates the global smart town market to be worth $90 billion a year. “With the beefed up capability through the merger, we will continue to expand the global business to grow together with our partner companies,” Samsung SDS said. Digital space convergence services for Saudi Arabia’s King Abdulaziz Center for World Culture are a typical model of a smart town. Medical information technology is also a core business of a smart town. Samsung SDS is capable of providing hospital information systems, electronic medical records, and picture archiving and communication systems for the efficient management of hospitals. The company has recently jumped into the medical IT business by signing a deal with Christus Health, a hospital network in the Unites States, to provide electronic medical records for 10 years. Since 2011, Samsung SDS has carried out a pilot project for EMR solutions and gradually expanded the services into the affiliated hospitals. Targeting the rising demand of the smart town market, the company also merged with Samsung SNS, a communications and network specialized company, last September. Through the deal, Samsung SDS said it has now secured capacity to set up communications infrastructure.